Within the past week, NATO countries, besides the U.K, engaged in continuous bombing on the Libyan capital and military compacts. These countries stepped into Libyan conflicts to “keep the peace” throughout the nation after large rebel masses became increasingly violent towards Colonel Muammar Gaddafi, Libyan leader. Active duty units throughout the U.S. are being called to combat, as well as Texas based Special Forces. Led by numerous international Generals, NATO militaries planned and fulfilled specialized attacks against Colonel Gaddafi. 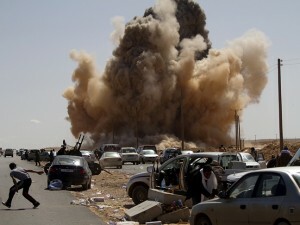 In the past two days, over 25 Libyans have died due to bombings and shoot-downs. Libyan military officers have announced that the U.S. and other NATO countries “maliciously murdered” these “innocent bystanders”, who were in fact, followers of Gaddafi’s military. 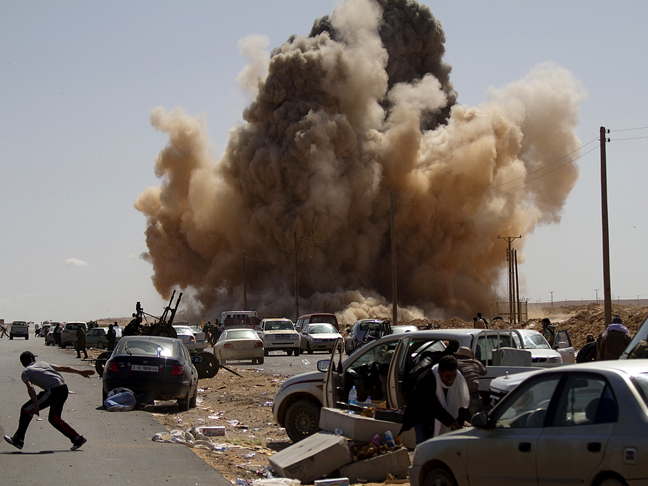 After NATO announced that the people killed were violently rallying against NATO actions, a few more bombs were dropped on Libya’s capital, causing an immediate evacuation of Libya. The war is heating up and U.S. active duty soldiers are currently being called to conflict.